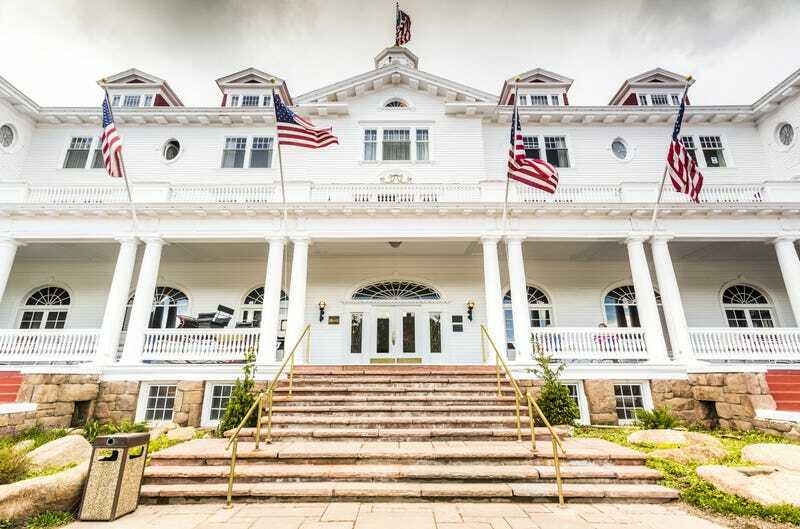 Stephen King was famously inspired by the Stanley Hotel of Estes Park, Colorado, and now, the hotel is looking to add on to their heritage as a horror destination: by adding on a museum dedicated to horror. According to the LA Times, the hotel has issued plans to build a horror museum onto the premise, which would bring in traveling exhibits, and add on an auditorium and sound stage. The founding board for the museum includes some celebrities, such as Elijah Woods (Lord of the Rings) and Simon Pegg (Shaun of the Dead / Star Trek). Before this happens, the state of Colorado must first grant the hotel $11.5 million from its tourism funds to help with the construction of the facility, which is expected to cost upwards of $24 million. The museum will operate as a nonprofit public-private partnership. King stayed in room 217 in 1974, which helped to inspire him to write his famous novel The Shining, and serves as inspiration for the Overlook Hotel. The novel and subsequent movie adaptation have helped transform the hotel in to a tourist destination for horror fans. The hotel offers tours and hosts horror writers for workshops.